The 62000H Series supplies offer a high power density envelop of maximum 15KW in 3U, deliver low output noise and ripple, excellent line and load regulation, and fast transient response, with wide range of voltage (30V~1000V), current (375A~25A) combinations, suitable for every part of your manufacturing process from design to production testing. When high power is required, it is common to connect two or more power supplies in parallel or series. The 62000H Series supplies have a smart Master / Slave control mode making series/parallel operation fast and simple. In this mode, the master scales values and downloads data to slave units so programming is simple and current sharing automatic. 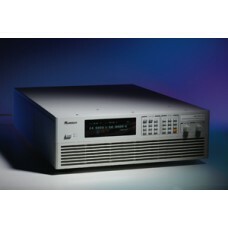 Model 62150H-600S/1000S provides a unique feature to simulate the output characteristics of a solar array. This function is useful for MPPT performance evaluation on solar inverter device. User can easily edit the I-V curve, testing and monitor the PV inverter via softpanel , see Figure A & B. 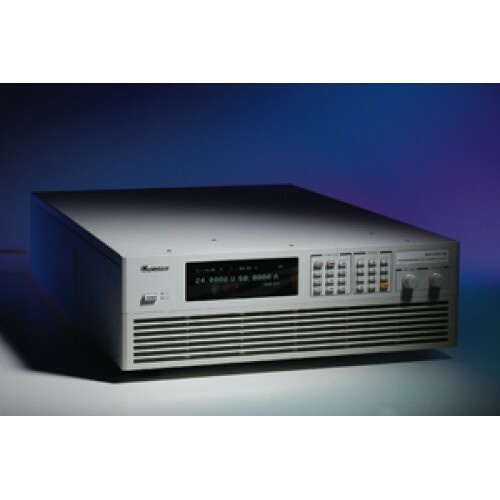 The 62000H Series supplies' LIST and STEP modes allow for auto sequencing function. The LIST mode allows for 100 user programmable sequences with time settings ranging from 5ms to 15000s and voltage / current slew rate control. The STEP mode allows for setting start, end voltage and run time of 10ms to 99 hours for automated test applications. Applications include DC/DC Converter & Inverter voltage dropout testing, engine start-up simulation, battery automated charging, battery voltage dropout simulation, product life cycle testing and avionics testing.